Twitter and Tweets have been around since 2006. 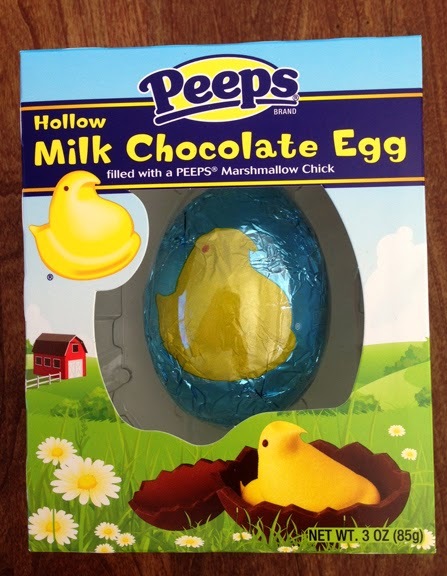 But Peeps Marshallow Chicks -- and assorted other seasonal candies offered by the classic brand -- have been an Easter tradition for more than 60 years. Now, that's something to really tweet about! Not only are these perfect for Easter baskets, the chewy delights are great to make lots of recipes and crafts like this DIY Peeps Hairband. 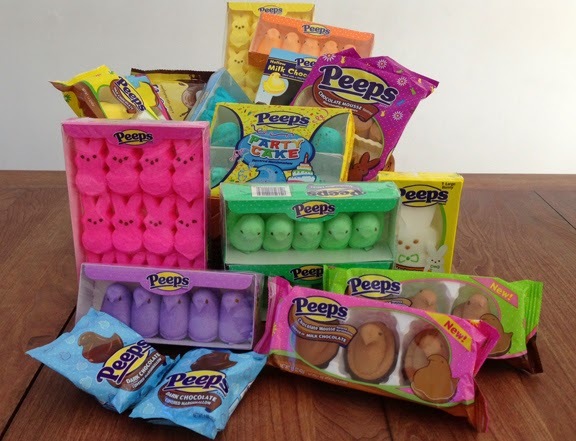 The newsgets even better: I'm hosting a really big Peeps candy giveaway right here on MommyBlogExpert and one reader is going to win the entire Peeps 2014 Easter Collection! Keep reading to find out how you can enter and maybe be the lucky one to win this fun and delicious giftbasket prize. Remember keep entering daily until the contest ends to increase your chances of winning a prize package that includes 17 different Peeps Easter products ARV $35. ONE (1) Peeps Easter Collection Gift Basket will be awarded. 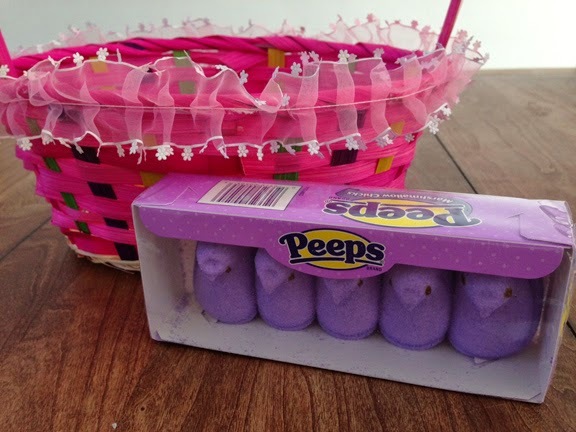 MommyBlogExpert's Peeps Easter Basket Giveaway ends April 14, 2014 at 12 am PT and is open to legal residents of the U.S. only. Winner of this MBE contest will be selected at random from all entries and will be notified via email and must respond within 24 hours to claim their prize. FTC Disclosure: I disclose that Peeps and Company provided me with their entire 2014 Easter candy collection to faciliate a series of MBE posts. I did not receive any payment or other compensation. All opinions in this post are my own. The brand is also providing the prize package and shipping for this giveaway. See complete FTC Disclosure information that appears at the bottom of MommyBlogExpert's main page and at the bottom of every individual post on this blog, including this one. 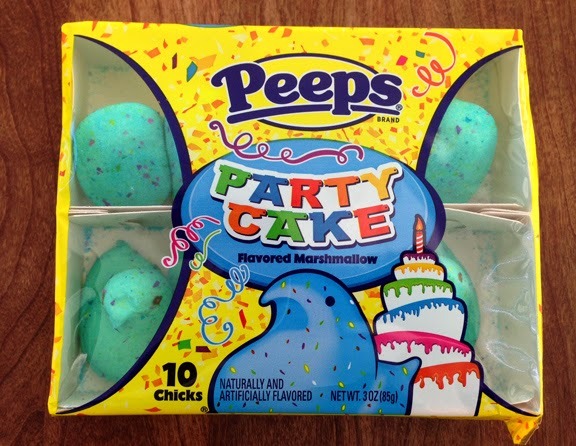 Ooooohhhh, I like the party cake Peeps, so good! Peeps party cakes are my fav! I've only ever had the original but the hollow milk chocolate egg peeps look amazing! I love the original peeps in the pink and yellow colors! My favorite are the peepsters, which I think may be a newer item. I love the original pink Peeps!! I grew up eating them! My favorite is the original yellow Peeps! I have only tried the original type of peeps, I prefer yellow, but I think they all seem to taste the same. Yellow peep chicks are my favorite! Loving all the PEEPS comments about what your favorite variety is, keep them coming and you could win the huge PEEPS Easter Giftbasket to be given away to a lucky MommyBlogExpert reader. I love the chocolate covered! I love the original yellow peeps. Ian loves the new sour watermelon peeps we found at Target- those are definitely the new fave. I love the originals! Peep Chicks! I love original peeps most. love those yellow chicks I do. I'd have to say the good old standard yellow peeps. But the chocolate covered peeps sound amazeballs! I like the chocolate peep chicks. Original but looking forward to trying the chocolate ones. My favorite is the original flavored peeps. My favorite is the original yellow peep chicks! I like the ones marinated in Jack Daniels...just found out that is a family recipe so I will say the chocolate covered ones. I love the original peeps, but I'm looking forward to trying the cake peeps. I've never seen them before! Peeps are Easter Basket classics!!! Thanks for the chance to win! My 4 kids love all peeps but the new blue raspberry is a huge hit. Original yellow Peeps are my favorite, but I'd love to try the Party Cake Peeps.. and so would my 3 kiddos :) Thanks for the chance! I like the original yellow marshmellow peeps. I love the Yellow Peeps Chick In Chocolate Egg! CONGRATS Rita @one2try the WINNER of MommyBlogExpert's Peeps Easter Basket Giveaway!